There's so much to tell you in this post! First of all, I'm an Auntie for real! 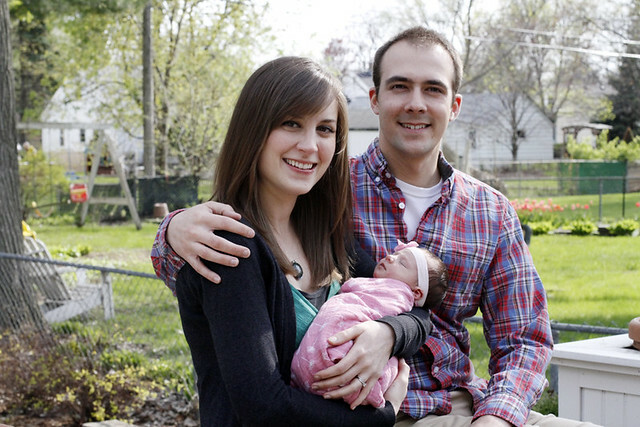 It's so exciting to welcome Avery Kate to the world, the first daughter of my brother and his wife, Stephanie! Isn't Miss Avery cute??? My brother and Steph ain't too bad lookin' either ;) Love you guys! Stephanie just so happens to be the amazing photographer/baker/writer behind Girl vs. Dough. Be prepared to drool once you head over there. But you should definitely head over there today becauseI'm sharing an amazzzzzing recipe. I'm more than happy to bake delicious things so they can snuggle Avery extra for me. Yeah, that oughtta do it. Now Stephanie doesn't sit still for long! 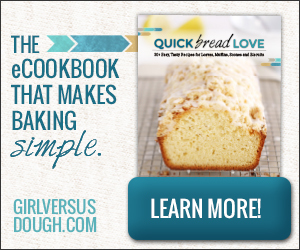 While pregnant with Miss Avery she also created her eCookbook Quick Bread Love. Woahhhhhhh are there some good-sounding recipes in here, ya'll! Let me further entice you: Coconut-Chai Tres-Leches Muffins? Yes please. Or perhaps Roasted Blueberry-Basil Corn Bread for those of you with a salty tooth. That's just the beginning. There are 30 tasty recipes in all, plus Steph's tips and tricks. I can guarantee you'll find something you canNOT live without in this e-cookbook of Stephanie's! So there you have it: #allthelove. 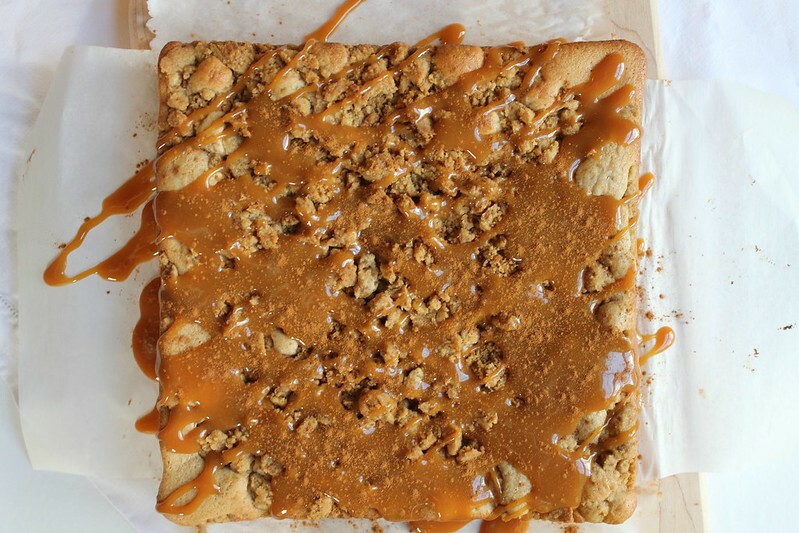 Baby love, family love, caramel-apple love, and Quick Bread Love.